The past month has been a process of redefining and reframing our beliefs, intentions, self-definitions and inner dialogue, thereby creating space to embody our simplest and greatest natural gifts, and allow our heart’s guidance to re-shape our relationship to the outside world. At the time of New Moon in Gemini (June 13th) we took a vital step in this process; called to be the change and to be it first — and to trust that we are paving the way for others to follow — we began integrating our deepest and most natural values into our lives, and anchoring them into a world that isn’t yet ready to understand, support, or reflect them back to us. Now, as the energy of today’s Full Moon in Capricorn takes shape, we are being called to stop, seek clarity, and digest a new awareness. While our attention is simultaneously being pulled in all directions, the energy of current alignments invites us to look inward, sit with stillness in our hearts in each new moment, and then ride the natural flow into effortless, inspired action. Let’s look at the energy patterns that are shaping our evolution during this current lunar cycle. This alignment offers a tremendous amount of energy to move us, however the nature of the planetary cycles at the moment invite us to see another story, one that is an inward focus. As this happens, one of the greatest shifts that we as a human race will begin to see happen is a rising awareness of our own life cycle. The energy of Capricorn expressed through the current paradigm of human thinking is seen in the way our society follows an external structure of time. This has lead us to create work and lives that are only sustainable through our fulfillment of schedules, structures and external expectations. But the essence of our new direction is about honouring our own nature, and creating our own structures — and this ultimately leads us to want to serve our own internal time cycle. And while it is Capricorn that brings our attention to each moment, it is the energy of Cancer help us nurture the natural motion of our own timeline. We have a double effect occurring here for us that can be either profoundly shifting or severely exhausting. On one side you have Venus (reflecting our core values) opposing Mars retrograde (our instinctive desires) causing a flow of energy to move from one polarity to the next. Forming angles to Mars and Venus is Uranus in Taurus and Jupiter in Scorpio. These tension angles are pulling our attention in all directions, and we may feel inspired and motivated to new adventures and experiences in each moment. This energy is creative and helpful within the context of our current evolution, however fulfilling each impulse for new experiences or actions (Mars) will leave us not completing other things and abandoning our chosen paths, as new insights and directions form. If we are to act from a place of impulse without clarity, we will likely find ourselves achieving little and exhausting ourselves in the process. To navigate this push and pull, use the pressure of these energies as a catalyst — to stop, seek clarity, and digest a new awareness. Rather than jumping from impulse to impulse, the flow right now is actually inviting us to sit with stillness in our hearts and to embrace each new moment with timelessness and bewilderment. In a state of clarity, the next steps in your life can unfold in front of you, with you, and through you. In harmony with the call to embrace each new moment, these current inconjunct alignments are helping us slow down and hold our inner space with grace. An inconjunct is an alignment (of around 150°) between two or more planets, in which the planets involved are unable to ‘see’ each other clearly. This friction causes a crisis in the flow of insight and awareness and the ‘blind spot angle’ creates two experiences for us; we experience and internal crisis in which we are forced to look inward, then, as we look inward we begin to adjust our sails according to a new flow which ultimately leads to a new direction. We are now at a time in which we are rectifying and reorienting our lives to a new human evolutionary process. We are shifting our lives away from an outdated paradigm of rules and structures, and the planetary energies are reflecting this adjustment. These energies invite us to watch our individual path open up to us, and in the bigger picture, learn to see our lives as an ongoing evolutionary expansion. Our actions are driven by desires and intentions which are often unknown to us. Our drive for evolution, for movement, growth and experience is guided by the the underlying forces of nature, and individually, we enact different aspects of the evolutionary progression of humanity as a whole. Every individual impulse and action is deeply connected to the fractals and currents of life itself, evolving itself through us, individually and collectively. Just as with our breath, there is a natural flow and pulse that we follow in life; a flow of action and retreat, of doing and being. If we were to constantly be moving outwards in a state of action without retreating, we would lose touch with our core, the source of our actions, and would no longer be enacting life in accordance with totality. We would lose our way. It is in our core that we connect to the source of our desires and actions, and it is from this core that we align with our inspiration and drive for action. The balance is in riding the natural flow. In the pulse of life, we naturally must return to our center at some point, where our drive to move becomes introverted and our focus shifts inwards rather than outwards. This does not mean we will not be doing anything, it means we will not be striving to achieve anything, and hold no motive or intention behind our actions. But our actions still deeply impact our lives. The things we find ourselves called to do at this time — the details, alignments, changes that are happening through us — are deeply significant to our journey and more meaningful to our future than anything we could think we want for ourselves. During this Full Moon, we are given the opportunity to take down our sails and surrender our direction and our will to the natural flow — and while we center ourselves in that flow, we are given the opportunity to examine our intentions and desires and to let go of what no longer serves our journey from this point. As our personal will is withdrawn and internalised, we will not find the drive and energy to act of our own accord, it will take great effort to make things happen, and we will naturally find ourselves questioning our intentions. This is an invitation to new insights and wisdom. We are being asked to find a place of stillness in ourselves, and practice the art of doing nothing. As we sit in this place of stillness we can observe clearly where the energy is flowing, we can retract the energy that is better placed elsewhere. From that place of inner stillness, of non-striving, we will find ourselves in natural and effortless action, following and surrendering to natural order while it aligns us with our highest potential. There is a greater plan than our minds could possibly achieve for us, and it takes no effort to get there. Allow the flow to take you to the places that need your attention, and allow your energy to be applied to those areas without question. Do nothing, and nothing will be left undone. Our lives are, of course, no exception from this energetic experience and we find ourselves not only in a very slow and detailed process of recreating our websites to be more aligned with our new direction and what feels like some big changes ahead but also being called to cultivate and grow our Patreon Community which has become a highly rewarding space to interact with. We also started a 4 part introduction to the basics of Evolutionary Astrology last Saturday with a webinar on The Guiding principles of Evolutionary Astrology (Recording now available) and will be continuing this Saturday with the The 12 Archetypes, followed by teachings on Pluto and the Lunar Nodes and Chart Examples with Q&A the following two weeks. This is a one time webinar series that will later be available to download. For those seeking guidance we always love to support you to the best of our ability we are taking bookings through July before we take a well deserved break. 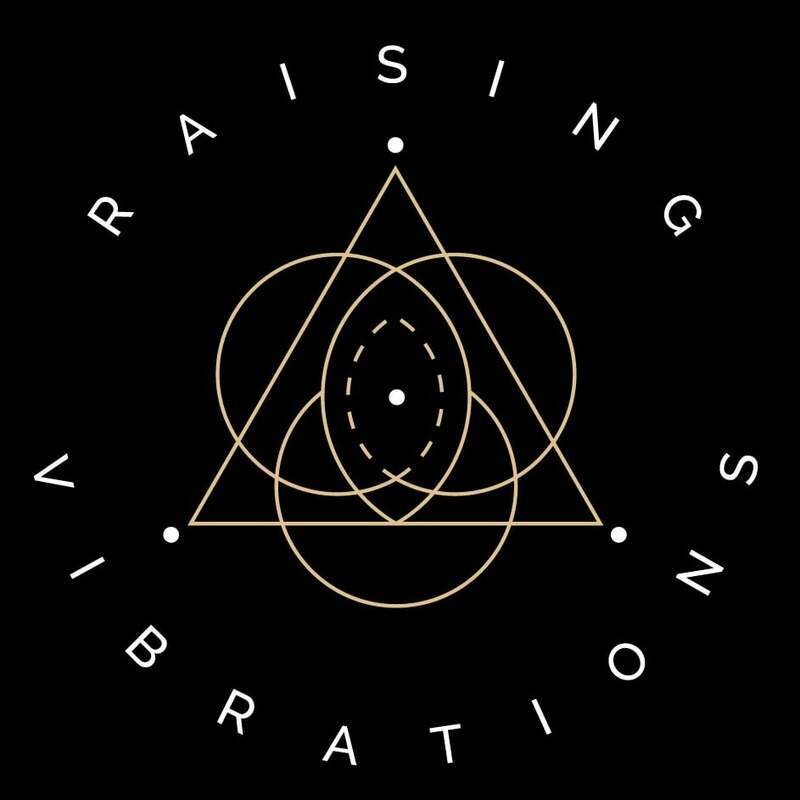 Email us at info@raising-vibrations.com or to schedule a session or take a look at our services. How does this apply to your personal chart?